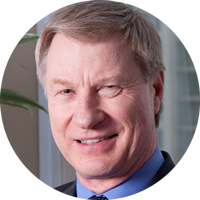 Gary D. Powroznik, FCPA, FCA, CIRP is the Founder and Managing Director of G-Force Group http://www.g-forcegroup.ca/, a Vancouver-based professional service organization that he founded after taking early retirement from PwC after 27 years as a partner, including 13 as Managing Partner of the British Columbia region. G-Force Group combines business, entrepreneurial, specialized industry and professional experience across a wide range of industries to help owners, investors and lenders maximize the return on their investment in businesses and real estate projects. While at PwC, Gary developed and led one of the largest regional restructuring and insolvency practices in Canada out of which he created its corporate finance and M&A practices in the mid-1980s. He later founded and led the Real Estate & Hospitality Advisory and Transactions Services (REATS) group for PwC in Vancouver. In the 1990s, Gary coordinated the strategy and liaison for the Canadian firm’s practice with its Asian members firms. In 2008, he founded G-Force Group, to focus on assisting stakeholders to maximize the value of their investment in businesses and real estate across a wide spectrum of financial health or viability. G-Force Group services include business M&A, corporate finance, restructuring through informal means or through formal plans under its Licensed Insolvency Trustee firm, asset and business management, and real estate brokerage under its licensed real estate brokerage which acquired the REATS practice from PwC. G-Force Group often partners with its clients, senior associates or with other organizations in delivering its services in a complementary way for complex and high risk projects, including distressed M&A. Prior to joining PwC, Gary ran a successful commercial fishing business for several years, and later at PwC played a major part in the ‘roll-up’ of the Westcoast commercial fish processing industry. In addition to his professional career, Gary founded and managed a family real estate development business and actively invested in commercial and residential real estate and in operating businesses. Gary has extensive experience as an entrepreneur and an investor, in senior management and governance, in creating and managing a suite of professional services and multi-disciplinary expertise to preserve and enhance value for operating businesses and real estate assets. This broad experience, combined with his senior volunteer roles in BC, provides him with a rare combination of insight, expertise and experience to help management, owners, investors and lenders with the business opportunities and challenges they face. More recently, Gary has developed a network of senior relationships with extensive access to incoming investment from China. G-Force Group’s goal with this market is to proactively match Chinese investors with real estate projects and operating businesses for strategic and sustainable investments. Gary also has extensive volunteer experience and served on the Boards of many professional and community organizations. These included Sauder School of Business, VGH & UBC Hospital Foundation, Business Council of British Columbia, St. George’s School, Crofton House School and Focus Foundation of BC. Focus, www.focusbc.org is a not-for-profit organization with an independent school that delivers world class therapeutic & educational solutions to youth with complex behaviors and challenges who have not previously achieved success in the normal educational system.